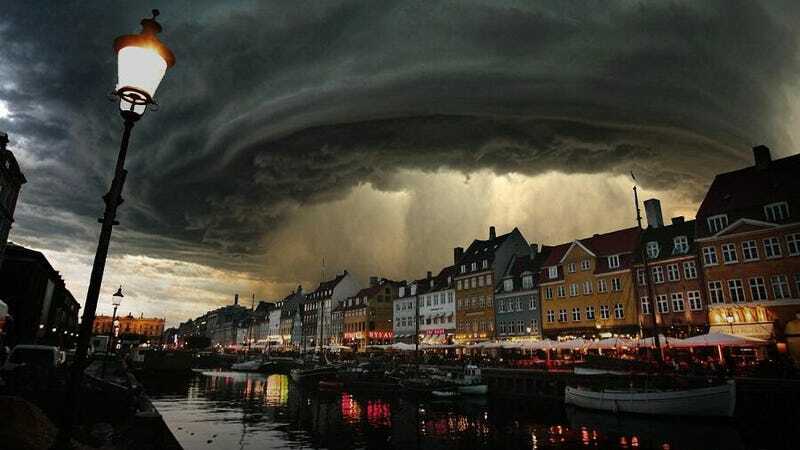 It's being widely circulated in Twitter and Facebook right now but this photo of some biblical wrath of God storm about to hit Denmark—purportedly to be an image of the cyclone Bodil that has been hammering Europe these days—is not real. It's quite cool, though. The real storm wasn't cool at all. It was terrible, in fact, killing five people in Poland, two in the UK, one in Denmark, and seven in Sweden, and causing mayhem and destruction everywhere.